Eureka Springs Cabins | Can-U-Canoe! If you are in search of the perfect Eureka Springs cabins, look no further than Can-U-Canoe! 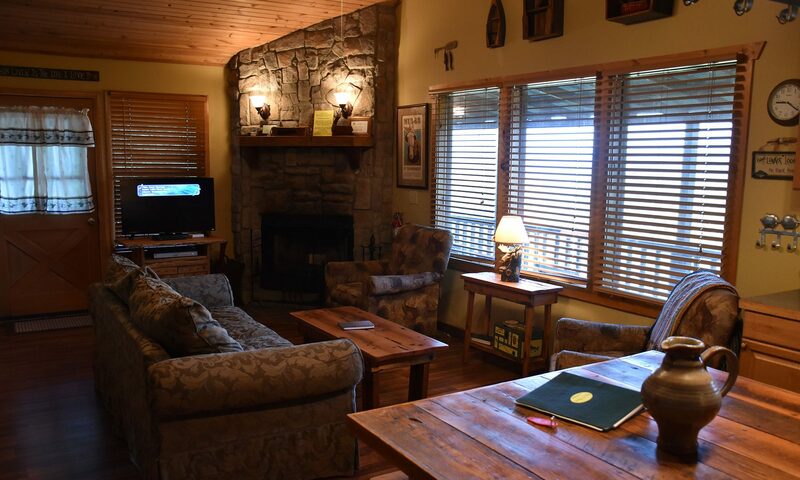 We welcome you to explore and discover all that our beautiful Eureka Springs cabin rentals have to offer as we pride ourselves in having the best quality lodging and amenities that provide all of the comforts of home. 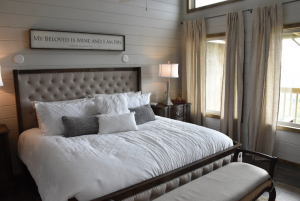 From beautifully designed suites with hot tubs overlooking the beautiful river and Ozark Mountains to deliciously prepared food, you will find your very own slice of paradise here at Can-U-Canoe Riverview Cabins. There is nothing quite like finding the ideal accommodations to fit your every need. When you stay with us at Can-U-Canoe, find yourself in complete comfort in one of our incredible Eureka Springs cabins. 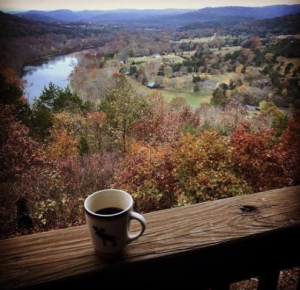 Wake up to gorgeous views of the river and sip on your morning coffee while peering out into the stunning Ozark Mountains. Whether you choose one of our small cabins for an intimate getaway in the mountains or a family cabin with room for everyone, you will not be disappointed. We also have exquisite suites with some of the best views and hot tubs creating the perfect romantic setting for you and your love to get away from it all. We are also animal lovers and offer pet-friendly accommodations so that your four-pawed best friend can join in on the adventures! When you stay in our beautifully designed Eureka Springs cabins, you will be immersed in the stunning Ozark Mountains. Discover cabins with hot tubs, cozy fireplaces, balconies with the best views, tastefully rustic living quarters, full kitchens, and more. Our suites are elegantly furnished and designed for an upscale stay that will leave you in awe. You can view the amenities that each unique cabin has so that you can choose the one that best fits your needs. Equipped with amenities that will provide you with all of the best comforts of home, getting settled into your Eureka Springs cabin rentals will be a breeze. Though our cabins are what we are best known for here at Can-U-Canoe Riverview Cabins, there are plenty of other things that add even more to our incredible cabin experiences. Treat yourself and relax by calling one of the talented massage therapists on our website that will come right to your cabin for a spa day without ever needing to leave your cozy accommodations. We also have an incredible cook that you can reserve in the evening. Chef Anna will come to your cabin and personally create a gourmet dinner for two with delectable appetizers, phenomenal entrees, and a mouthwatering dessert for you and your honey. Choose From the menu and book your dinner for an incredible meal and a romantic night in your cabin or suite. These and so many other factors make our Eureka Springs cabin rentals ao unique. Visit us at Can-U-Canoe Riverview Cabins and discover your Eureka Springs paradise! 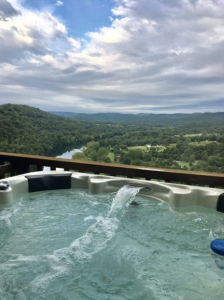 Our cabins and homes provide beautiful panoramic views of the river, valley and rolling Ozarks from the spacious living rooms, bedrooms and the covered outdoor decks. All of the cabins, with the exception of the Minnow Bucket, and The Paddler, have their own private outdoor hot tub. Each cabin is positioned for complete privacy on your deck, which makes for amazing romantic getaways.